Forget Jason and Freddy. 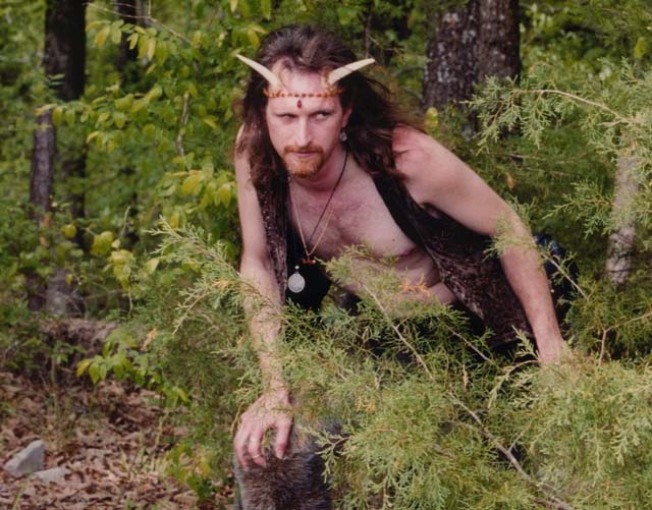 The Goatman of Prince George's County is out to get you. Yes, according to urban legend -- and we all know those legends are always true -- it all started in 1957 when reports started coming through about a creature part man and part goat who attacked residents, rampaged neighborhoods and killed family pets in Upper Marlboro and Forestville. And now you can relive the story, complete with movie effects and studio lighting, at GoatMan Hollow, inside the beltway, about 1.5 miles from the Prince George's Plaza Metro Station in Hyattsville, Md. Tickets cost $15 for Friday or Saturday's haunted house. But you might want to leave the young kiddies at home. According to the site, the "theatrical dark attraction" is intended for adults and children over the age of 9. "Pumpkins on the Plaza" at the Columbia Heights Civic Plaza, on Saturday the 31st, from 11 a.m. - 2 p.m., with free face painting, a Halloween arts and crafts station and a costume contest with a $100 Giant Gift Card for the winner. a Halloween Party at Trolley Turnaround Park (11th and Monroe), also on Saturday at 4:30 pm. Come in costume for a parade around the block and then a costume contest. another costume contest at the 14th and U Farmers Market, Saturday at 12 p.m./noon. The contest is for kids and adults and there's a bake sale benefiting Martha's Table. Prizes include certificates/gifts from Saint Ex, Pulp, Cork Market, Mid City Caffe, Adventures in Shaw, Biaggio and more. Want to find out where all the ghosts are? We knew there were scary things going on DC, but who'd have guessed it's known as America's Most Haunted City? (Maybe Congress...) For a veritable map of the paranormal, including the poltergeist at the Hay-Adams Hotel and why Lafayette Park is known as "Tragedy Square," check out Washington DC Ghost Tours. Starting at nightly at 8 p.m., the tours are $15 for adults. If you're really scared, they even let you bring your dog. Military members get a $2 discount.